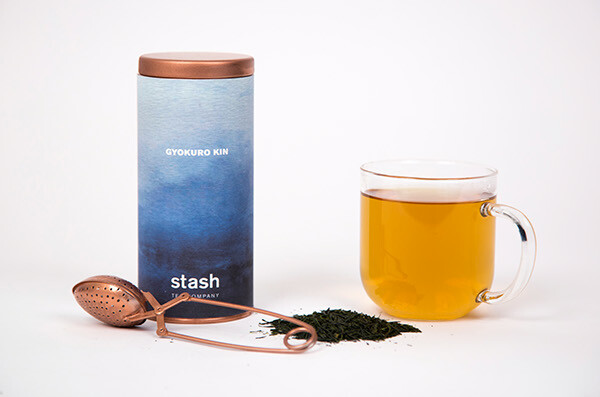 Stash Tea Company is one of the largest specialty tea companies in the United States. The name derives from the time when tea was transported by ship. 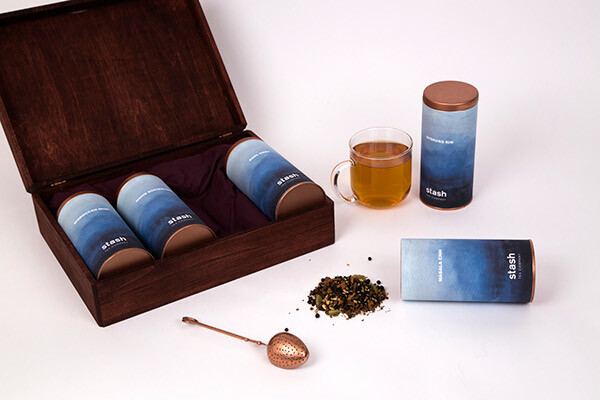 The story goes that the captain of the ship would be presented with some of the finest teas for his personal use, his "stash." Given the history behind the company's name, I wanted to evoke the idea of the sea. I began by painting several watercolors until I had one that felt very sea-like, as well as resembled the gradation in color that occurs when tea is steeped. I made the mark very clean, but still recognizable, and created a simple chart for the many temperatures and times that vary when steeping different types of tea. 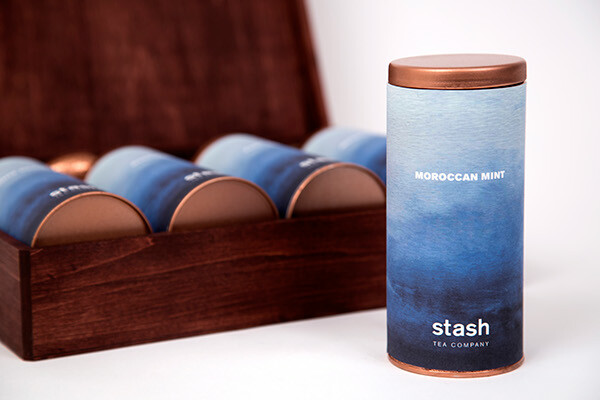 I felt the copper canister would be a nice accompaniment to the blue and would stand out nicely against other tea tins. I envisioned this product as something that would be sold both in a starter or gift set, as shown here, as well as in grocery stores. This project was directed by Jennifer Cole Phillips at MICA. 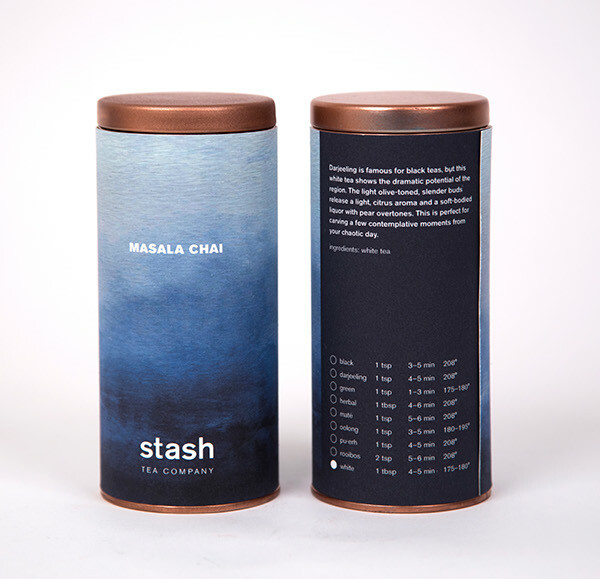 Stash Tea Company is one of the largest specialty tea companies in the United States. The name derives from the time when tea was transported by ship. 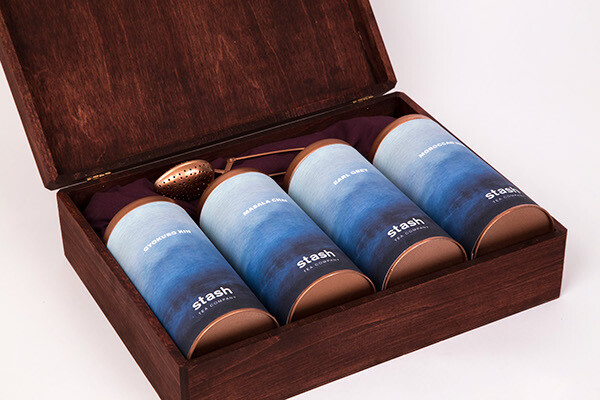 The story goes that the captain of the ship would be presented with some of the finest teas for his personal use, his "stash." Given the history behind the company's name, I wanted to evoke the idea of the sea. I began by painting several watercolors until I had one that felt very sea-like, as well as resembled the gradation in color that occurs when tea is steeped. I made the mark very clean, but still recognizable, and created a simple chart for the many temperatures and times that vary when steeping different types of tea. I felt the copper canister would be a nice accompaniment to the blue and would stand out nicely against other tea tins. I envisioned this product as something that would be sold both in a starter or gift set, as shown here, as well as in grocery stores.